Tail Light Trade 2014 Audi S5 Tinted Tails. Hey guys I know this is kind of a For Sale thread so if its in the wrong place Please let me know and I will delete it. But I was hoping to post here with the other AZ guys!!! It would be much easier trading a local guy then trying to ship and hope that everyone is happy with the transaction. 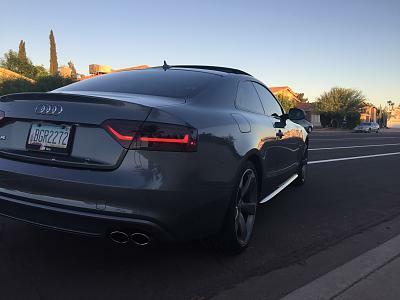 I have tinted Tail Lights that I had done professionally by a shop here in AZ! 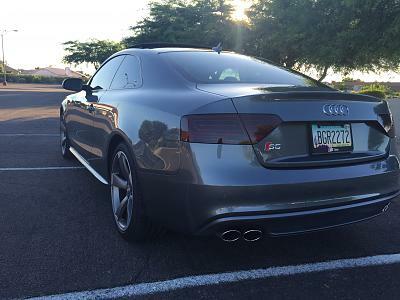 9000 Miles on the car so the Tail lights are Perfect. Lightly tinted, never had a cop say anything about them whatsovever and I have been pulled over for spending plenty. 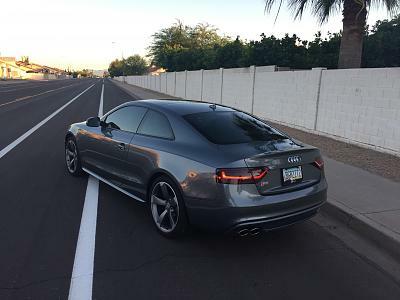 I am selling my car and the tail lights have come up a few times by people trying to purchase the car from other states where the laws are different and enforced differently. So to make it easier to sell my car I am going to put stock tails back on it! Hoping to trade someone local. You save $250.00 from having to pay to paint your factory tails and I get my car back to stock in order to sell it a little bit easier. 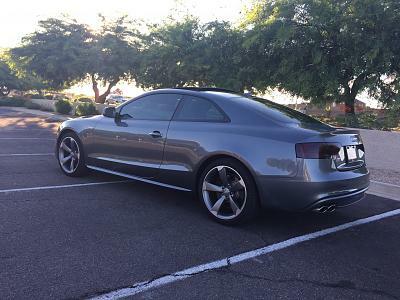 To be tinted, or not to be tinted??? Quick Reply: Tail Light Trade 2014 Audi S5 Tinted Tails.